Hugh Blair was an English organist and minor composer whose rising musical career was abruptly cut short in 1897, apparently due to a problem with alcohol. He was highly regarded by his fellow musicians, both professional and amateur, and numbered the composer Sir Edward Elgar among his close friends when they were both young men seeking to make their way in the musical world. Born in Worcester, UK, on 25th May, 1864, the eldest of eight children, Hugh Blair was the son of the Rev. Robert Hugh Blair, rector of St Martin’s Church in the city and founder of the Worcester College for the Blind (now New College Worcester). Both parents were accomplished musicians and his father was also a noted astronomer and scientist. This may explain why the young Blair showed a keen interest in engineering and mechanics. Blair showed an early aptitude for music and became a chorister at Worcester Cathedral and a pupil at King’s School, where his father, for a time, had been the maths master. His early musical training was consequently shaped by the cathedral organist and choirmaster, William Done (1815-1895). When Blair was aged 14, Done took him on as an organ pupil and by the age of 16 Blair was competent enough to play the organ for services in the cathedral. During his childhood, Blair also spent much time, probably the school holidays, in his mother’s native Yorkshire, staying with his uncle, Henry Wilson Dowker (married to his mother’s sister). 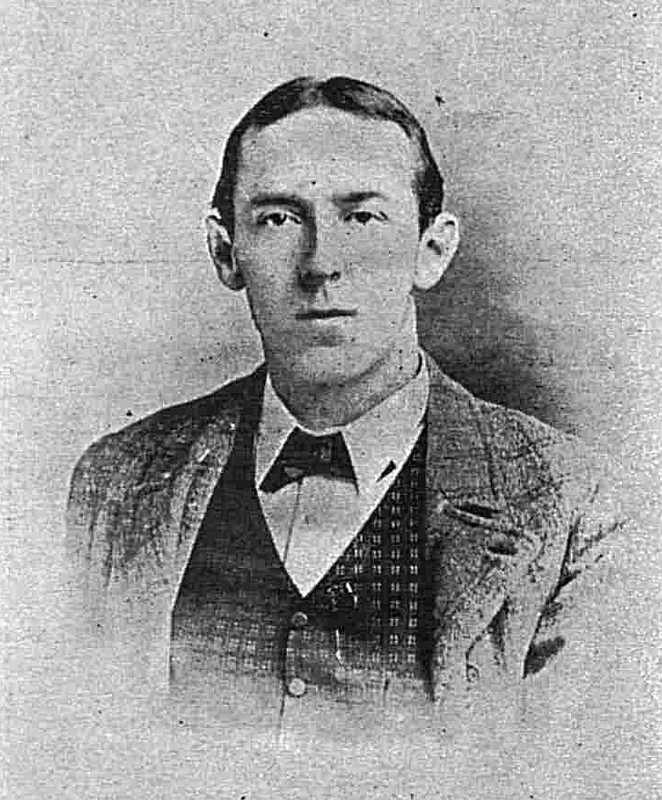 Dowker was a well-known field sportsman and uncle to the so-called “Father of Yorkshire Cricket” – Martin, Lord Hawke. It was Dowker who encouraged Blair to ride and fish. Although Blair was not yet thinking of a career in music, in 1883 the organ scholarship at Christ’s College, Cambridge, became vacant. Blair applied and won the scholarship in open competition against 80 other candidates. At the university, he studied musical composition with Dr George Garrett and attended lectures given by the composer and Professor of Music, Sir George Macfarren. As Blair was about to start his third year at Cambridge, in September 1885, tragedy struck the family back in Worcester. His father had suffered some sudden and strange internal injury and died shortly after undergoing an operation for this. Having apparently invested his considerable private fortune in founding the college for the blind, Robert Blair’s family was left with just the income from a small but inadequate insurance policy. Within days, the great and good of Worcestershire, holding Robert Blair in the highest regard, had rallied round and a meeting called to set up a fund for their relief and chaired by the Bishop of Worcester raised almost £1,000 in the room, with more coming in over the following days. Among those who contributed was Dr Charles Swainson, the Master of Blair’s college in Cambridge, who wrote saying he was personally supporting the fund because of the high regard in which he held Hugh Blair, the son. At this point, Blair was still only interested in studying music as an accomplishment rather than as a profession, but on graduating with his Bachelor of Arts degree in 1886, he decided to accept the post of assistant organist at Worcester Cathedral. The following year, he took the degree of Bachelor of Music. By 1887, the cathedral organist, William Done, who had been appointed in 1844, had reached the age of 72 and the Dean and Chapter felt it was time to lighten his load, if not relieve him of the burden altogether. There was no question of Done actually resigning or being asked to resign, and a compromise was reached where he continued to hold the post in name but Blair was appointed “organist in sole charge”. This arrangement continued until 1895 when Done died at the age of 80 and Blair finally became officially the organist and choirmaster. Throughout this period, William Done continued to occupy the organist’s house in College Green while Blair lived in lodgings in nearby Edgar Street. Blair was also instrumental in the the creation and first performances of four of Elgar’s more important early works, The Black Knight (1893), Sursum Corda (1894), the Organ Sonata in G (1895), and The Light of Life (1896). Elgar had already started sketching ideas for his choral symphony The Black Knight but it was an offer by Blair to have the Worcestershire Festival Choral Society to perform the work that galvanised Elgar into completing it. This was an important opportunity for the emerging composer and Elgar himself conducted the first perfomance on the 18th April, 1893, for a full house at the Worcester Public Hall in the Cornmarket. He dedicated the work to Blair, who had given him this opportunity. 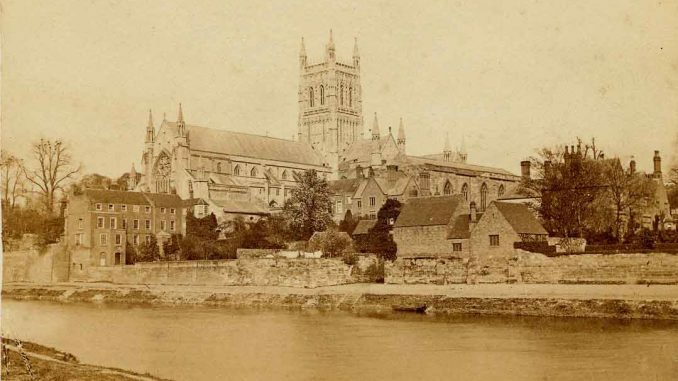 In 1895, Worcester Cathedral was to host a party of some 150 American church music enthusiasts who were touring the UK’s finest church choirs and organs. They would be attending a Monday morning choral matins after which Blair was expected to give a short recital on the grand nave organ. (The cathedral had two organs at this point, one re-built and the other built by William Hill & Son, and a third, by Robert Hope-Jones, was under construction. The organ Blair was to play was the four-manual 53-stop Hill organ, commissioned by the Earl of Dudley, and situated in the south transept. The point is worth making because many believe the sonata was written to inaugurate the new Hope-Jones instrument, but this was not completed until the following year.) Blair asked Elgar to compose an organ work for the occasion. Unfortunately, Elgar only just managed to complete the Organ Sonata in G a few days before the visit and Blair had little time to rehearse it on an organ that was already in a poor condition. The choral matins included the Te Deum which Blair had composed for the last Three Choirs Festival at Worcester. Although the Worcestershire Chronicle reported that Blair “gave a much appreciated recital” on the organ after the service, we also learn from Elgar’s friend, Rosa Burley, who sat with Elgar in the nave for the first performance of the sonata, that Blair “made a terrible mess of poor Elgar’s work”. Sursum Corda – a work for strings, brass, timpani, and organ – was first performed at one of the occasional but increasingly popular series of orchestral services that were held at Worcester Cathedral. This was a Sunday evensong on 8th April, 1894 and the cathedral was, unusually, packed out. Elgar was due to conduct it himself and he rehearsed the work with the orchestra in the afternoon. But his doctor ruled that he was not to take part in the performance in the evening. And so Blair conducted the first performance. Five years later, on 12th November, 1899, Blair was also to conduct the first London performance of the work when he launched a series of festival services at Holy Trinity Church in Marylebone where he had become organist. Hugh Blair also became a Freemason, being initiated into the Worcester Lodge on 7th December, 1892. The situation regarding the conductorship at the Three Choirs Festival was complicated by the William Done situation. Traditionally, the organist of the host cathedral, whether it be Gloucester, Hereford, or Worcester, was conductor-in-chief. While Done had conducted the 1887 festival at Worcester, he was unable to fulfil the role when Worcester’s turn came round again in 1890. But Blair was considered too young and inexperienced for the responsibility, and so Charles Lee Williams (1853-1935), the Gloucester organist, stepped into the role. When the first meeting to plan the 1893 festival at Worcester took place, the new Dean of Worcester, Dr Robert Forrest, who had been appointed in 1891, was insistent that Blair and Blair alone should be conductor-in-chief. In the event, Blair’s first festival proved to be a triumph and in October, the month immediately following the event, Blair was presented with an ivory gold-mounted conductor’s baton inscribed: “Presented to Hugh Blair, B.A., Mus. Bac., by the Worcester Chorus in commemoration of the Festival of 1893.” Praise for Blair also came from the composer, C Hubert H Parry. With William Done’s death in 1895, Blair’s compromise positions now became fully his and he was able to look ahead to the 1896 festival at Worcester with greater self-confidence both as, in effect, artistic director (choosing the programme) and as conductor. For the festival, Blair commissioned Elgar’s short oratorio The Light of Life and the composer conducted its first performance himself. Blair also contributed his own Advent Cantata, a work which had already been performed twice in Worcester but which now had its festival debut in front of a wider audience. And Blair was also responsible for introducing, somewhat daringly and controversially, the first Three Choirs performance of Verdi’s Requiem. The 1896 festival was also the first to involve the new Hope-Jones organ which had been finished earlier in the year and was dedicated on the 28th July at a service of Holy Communion that also featured an anthem – O Praise God in His Holiness – composed by Blair. The instrument itself represented a significant technological advance in organ building. In his youth, Blair had undertaken a course in organ building and throughout his life retained a great interest in new ways of developing the instrument. Built by Robert Hope-Jones of Birkenhead, this was one of the first electric organs – electric in the sense that although it was still a proper pipe organ, the pipes were opened and closed by electric signals rather than a complex arrangement of tracker levers directly connected to the manuals. At the time it was installed, it was the most powerful organ in the country. The console, now freed from being directly connected to the pipes, was on casters and could be wheeled around to different positions. Overseeing the installation of this organ was probably one of Blair’s most significant contributions in his short career as organist at Worcester. Blair was passionately interested in the possibilities of making the organ more expressive (in a similar way to a piano by the way the keys were played) and he believed that electric action could one day achieve that. After the success of the 1896 festival, and with Worcester Cathedral enjoying a widespread reputation for the quality of its choral services throughout the year, it looked as if Blair was now well established. While all this was going on, it seems Blair also found time for love. On the 24th June, 1897, he was married to Catherine Mary Dorrell, only daughter of James Dorrell, of The Hollies, Kempsey, a village just south of Worcester. The wedding was at Kempsey Parish Church. James Dorrell was a partner in a well-known clothing business in Worcester, Russell & Dorrell, which was in the High Street close to the cathedral. Catherine was eight years his senior. Sometime over the course of the next six days something dramatic must have occurred. For by the 30th June, the newspapers were carrying reports that Hugh Blair had resigned his post as organist of Worcester Cathedral. The story has come down in an oral tradition at Worcester Cathedral that Blair was a heavy drinker. He is alleged to have been found one Christmas Day morning in a drunken stupor in the organ loft by the Dean. The cathedral records apparently also report that he “showed weakness in his consistency with regard to rehearsals and other matters”. In 1977, the then organist, Dr Donald Hunt, referred to the Christmas Day organ loft story when he met Blair’s great-niece, Chrissie Lawson. Clearly something significant happened in the last days of June for such a sudden and unexpected resignation to occur. This was not a case of Blair moving on to another position because his next post, in fact, was to become assistant organist at Bangor Cathedral, which he could only have accepted in desperation. Whatever the reasons that precipitated his sudden departure they certainly did not diminish him in the eyes of most of those with whom he had been working, the singers and amateur musicians connected with the cathedral. For in October, 1899, three years later, the Worcester Cathedral Voluntary Choir celebrated its silver jubilee with a dinner at the Star Hotel in the city. Most of the cathedral clergy were present, including the Dean, Dr Forrest. Ivor Atkins, who had succeeded Blair, was also present. Hugh Blair was listed as one of those who had sent apologies for his absence – a clear indication he had been invited. During the toast to ex-members, the proposer, Flower Thomas Spackman (1856-1931), a well-known local historian and antiquarian, specifically referred to Hugh Blair as “one to whom the choir owed so much, a gentleman who left Worcestershire some time ago, carrying with him the good wishes of every member, and whose name was remembered with respect, gratitude, and love”. He added that he only wished Mr Blair could have been with them tonight, to which there was loud applause. The appointment of Ivor Atkins, a former assistant organist at Hereford and now organist at Ludlow, to succeed Blair was announced before the end of July. And by early October the Welsh newspapers announced that Blair had already entered on his new duties as assistant to Tom Westlake Morgan (1869-1937) at Bangor Cathedral and that he had presided at the organ during rehearsals on the 2nd October. He did not stay long in Wales and sometime in 1898 he secured the position of organist at Holy Trinity Church, Marylebone, in Westminster. Despite being at the heart of the capital this was by no means a prestigious appointment or establishment, but it did open up new opportunities for Hugh Blair. One of the first things he did (as referred to above) was to inaugurate a series of orchestral festival services, similar to what had taken place in Worcester during his time there. He was also vice-president of the London Church Orchestral Society (founded in 1893), which, no doubt through Blair’s influence, often performed Elgar’s Sursum Corda as a model of the kind of music that could be performed at church services by an orchestra. In 1906, Hugh Blair was award a doctorate of music by Cambridge University. It appears that for a time Blair also worked as an editor and arranger for such London-based music publishing firms as Novello and Enoch & Sons. In 1912, for Enoch, he arranged the piano and vocal score of Elgar’s The Crown of India. For Novello, he edited The Church Hymnal for the Christian Year which came out in 1917. Several of Blair’s anthems and organ pieces were published by Novello during this period. It is clear that in the years following Blair’s departure from Worcester he was still held in high regard by Elgar, for in 1912 Elgar arranged a piece he had originally composed for his wind quintet in Worcester back in 1879. Now arranged for organ and orchestra and called Cantique, it was dedicated “To my friend Hugh Blair”. In 1917, as the First World War was entering its bloodiest phase, High Blair published one of his most extensive organ works. This was a four-movement suite which he dedicated to Elgar. The work exhibits all the Elgarian qualities of noble melodies and an almost orchestral construction. “Milton” Suite for Organ was inspired by lines from the 17th century poet, John Milton, drawn from Ode on Time, Comus, and Il Penseroso. The work can be interpreted in the light of the prevailing national mood but seems suffused with a sombre optimism, of final victory over tragedy and waste. A modern edition of the work is currently in print in the USA and the UK and Priory Records are expected to issue a CD of Blair’s organ works, including this suite, in 2018, recorded by Christopher Allsop, assistant at Worcester Cathedral, on the organ there. Hugh Blair died at the Myrtles Nursing Home in Worthing, Sussex, on 22nd July, 1932. He was survived by his wife. They had no children. Coincidentally, the Three Choirs Festival that year happened to be in Worcester and at the morning concert in the cathedral on the 8th September there was an addition to the programme in memory of Hugh Blair. The concert began, appropriately enough, with Blair’s old friend, Elgar, conducting his work The Music Makers. The tribute to Blair was Beethoven’s Equali for four trombones. While the audience remained in the cathedral, the players were situated outside in the cloisters with the doors open, giving the performance a haunting and poignant effect. The score for the above work is available on Amazon in the USA and throughout the EU, except in the UK where it is only available through bookshops and music sellers such as Blackwells Music Shop, Heffers, and Waterstones. Thank you very much indeed for this very interesting and useful article on Hugh Blair. I am in the course of researching and writing a book about him and gave a talk about my research at this year’s Worcester Three Choirs Festival. My focus is on Blair at Worcester and his relationship with Elgar so I was grateful to have some pointers as to his later career. Can I ask if you have a specific reference for the source of the quotation that he ‘showed weakness in his consistency with regard to rehearsals,’ etc, as I am shortly to visit the Worcester Cathedral archives and would like to track this down; and can I also ask if you would be so kind as to advise me if a copy of the photo of Blair might be available as I would very much like to use this as an illustration for my book.